يقع فندق فندق سي كيو كومفورت ويلنجتون في منطقة تتمتع بمعالم كثيرة، وتعتبر المكان الأنسب لاكتشاف هذه المدينة رائعة الجمال و ما يحيطها. يجذب هذا الفندق ذو 3.5 نجوم، والذي يبعد 1. Km فقط عن وسط المدينة و 8. Km عن المطار، الكثير من الزوار سنوياً. يقع هذا الفندق الحديث على مسافة قريبة من المعالم السياحية الشهيرة. استمتع بالخدمات الراقية والضيافة التي لا مثيل لها بهذا الفندق في هذه المدينة رائعة الجمال. يقدم الفندق فرصة للاستمتاع بشريحة واسعة من الخدمات بما فيها: خدمة الغرف على مدار الساعة, واي فاي مجاني في جميع الغرف, مكتب الاستقبال على مدار الساعة, مرافق مخصصة لذوي الاحتياجات الخاصة, تخزين الأمتعة . في الفندق غرف نوم يتجاوز عددها 113، كلها مجهزة بعناية وجمال وبعضها مزود بـ تلفزيون بشاشة مسطحة, قهوة فورية مجانية, شاي مجاني, صوفا, اتصال لاسلكي بالإنترنت. سواء كنت من محبي الرياضة أو كنت تتطلع لتفريغ عناء نهار صعب، ستجد خدمات ذات مستوى عالي بانتظارك كمثل مركز للياقة البدنية, حمام سباحة داخلي, سبا. إن فندق سي كيو كومفورت ويلنجتون هو خيار ذكي بالنسبة للمسافرين، فهو يوفر إقامة هادئة ومناسبة للاسترخاء. يطلب العقار مبلغًا تأمينيًا قابلاً للاسترداد بقيمة 100 دولار نيوزيلندي عند تسجيل الوصول. تخضع الأسرّة المنفصلة للتوافر إذا قام النزلاء بإجراء الحجوزات بعد الساعة 2:00 ظهرًا في نفس يوم الوصول. Had meetings at top of Cuba all week - perfect location for me. Good location & clean. But very disappointed on the Managers when our group was stuck in the Lifts on our arrival. We were stuck in there for almost 30 minutes in very hot sticky weather 13/01/2018. Spoke to two managers that were on duty on that day and in the morning regards the matter and they both kind of put the situation back on our group that the lift only carries 5 persons as there were 7 of us inside the lifts. The lifts clearly had a sign for 13 persons. A bit annoyed as NO one assured us or contacted us if we were OK! Managers handled this poorly practically told us the Lifts does not belong to them. But the lifts is on your premises.... This is a big OSH if your saying its a 5 persons lift but the signs says 13?? Never go by picture of this hotel , Highly Disappointed . There are two hotels operates in Same Building one is really bad ( Torn / old ) another one is decent but you need to pay price for that. We had booked two rooms for 3 night and when we checked in we shocked to see rooms and then we realised this place we cannot stay for even 1 night we had no option to upgrade to livable rooms of course you need to pay for that. Hotel Staff told us since you booked on line we cannot do anything. That was our fault so we had to pay. Small room but nice big bed, clean tidy ensuite and very quiet room. Nice blackout curtains and plenty of power points in the room. Complimentary express breakfast was lovely and fresh and the staff were always friendly and helpful. Would definitely stay again! Our room and bathroom were about as tiny as possible for two people with luggage. The bed was very firm and had crisp linens and four pillows. Water pressure excellent. A tiny desk and wood chair were tucked in a corner beside an even tinier closet. An electric heater was fixed on the wall. No air conditioner, a small fan providing the only air movement. Luckily for us, the weather was perfect, and we slept with the two small windows open. The rest of the old hotel was charming. We had several very good meals in the hotel restaurant, where the staff is wonderfully welcoming and food is delicious. The"C" is a decent value, maybe even a good value, given the much more expensive alternatives. Have an open attitude, and all will be well! 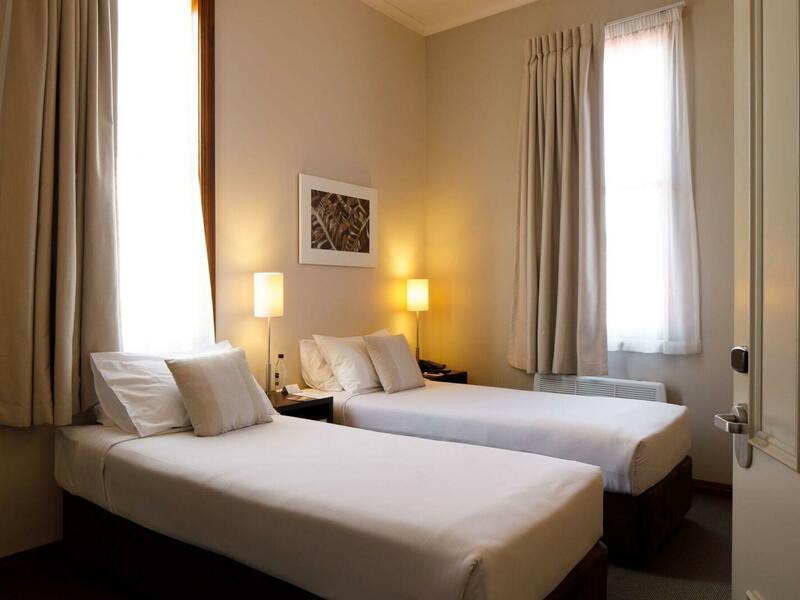 I've been to plenty of Wellington hotels, backpackers and Airbnbs but this was my first trip to Comfort and I was delighted with the service, which was unfailingly enthusiastic, warm, helpful and prompt. Premises are very central and well appointed ... double glazed windows (important on Cuba Street), very clean and tidy, good facilities. I got a special price and was thrilled. Thanks for a great stay. I'll be back. PS: Fidel's Cafe is just over the road and this is a real plus ... fantastic food and service. The hotel was right at Cuba Street and there are so many restaurants and bars nearby, location is excellent! 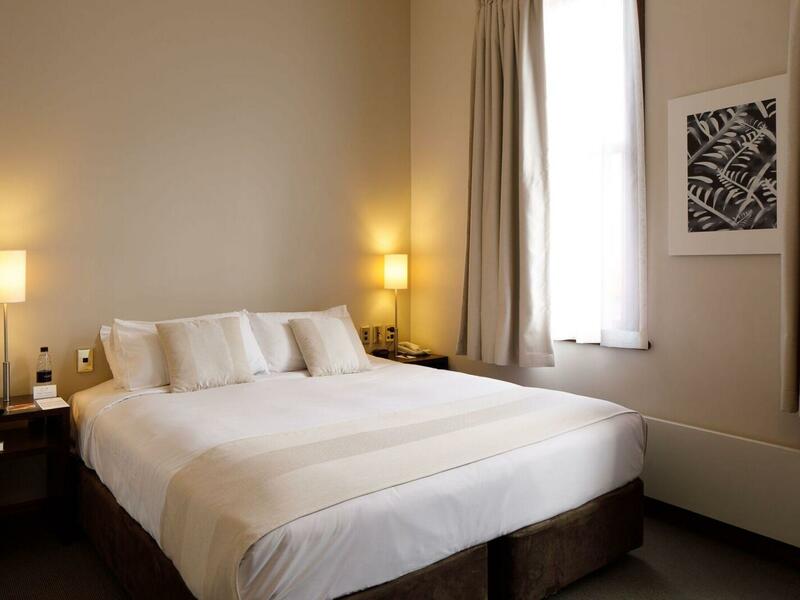 The room itself is big & clean, you have enough space to open up your suitcase and get your stuff out. The staff that welcomed me was very friendly and it was a great place to stay for budget traveler, definitely better than expectation. We arrived a little early as our original flight was cancelled and we were moved to an earlier one. I went to reception to ask if we could leave our bags so we could go off into town until check in time. Of course you can but just wait a few minutes please was the answer. Well after a considerable amount of keyboard tapping and mouse clicking the reception staff called me over and presented me with key cards and a smile. Thank you so much. Totally unexpected. You made what could have been a very long day absolutely wonderful. This allowed us to enjoy our stay and party into the night without having to get an early night because we were tired. What a pleasure it is to stay at this hotel. 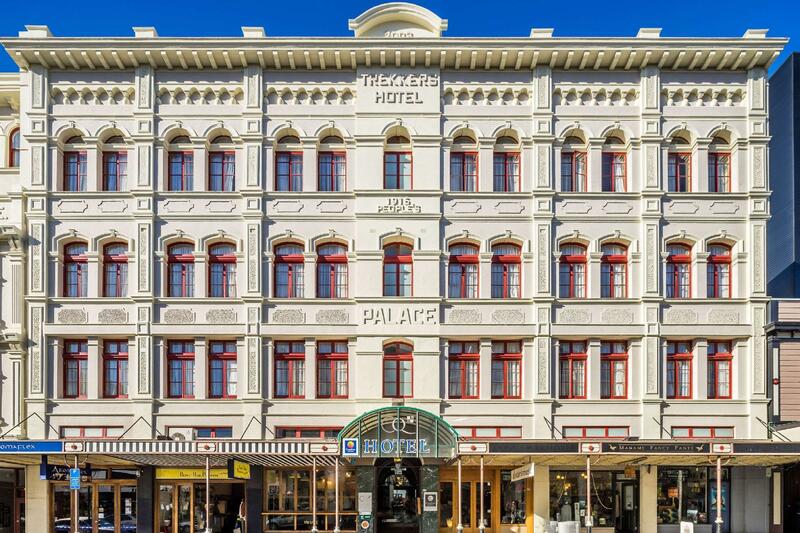 the hotel is in an ideal location to be able to experience the best part of Wellington, Cuba Street. The thing that sets this hotel out above the others are the staff. They are so friendly and go beyond what you would expect them to do to make your stay pleasurable. The hotel is fabulous. The staff are great. The rooms are fit for purpose. But.... Why, oh why, oh why do you insist on taking a $25 or was it $50 holding fee off me just in case I charge something to the room? You didn't ask for it the last time I stayed. There are two bottles of water in the room they say. Take them out, I don't want them. You may have breakfast they say. If I do, then I'll pay for it there and then and I'm sure your breakfast is nice but I'm in Wellington and there are hundreds of places to have breakfast. After a discussion about why they want it and why I don't feel I should have to pay it. The duty manager then put a cash only note on my room and took a photocopy of my driving liecence, so I didn't need to leave a deposit. Good! Why the fuss about so little you may ask? It doesn't bother me about the money as I can afford it. What about the people on a tight budget? This could be sizable chunk of their budget. Now the hotel will tell you they credit it back to your card when you check out. Maybe they do. In my experience it takes the bank at least 3 working days for it to be credited back to your account. Again, somebody on a tight budget can ill afford for this to happen. Lets say a person was doing a trip around New Zealand and stayed in 5 hotels in 5 different cities on 5 consecutive days. You could end up being $250 out of pocket until it starts to trickle back into your account. My sugestion for the hotels is STOP IT and get with the rest of the world. Reception says, "Sir, Madame. Would you like to put a cash deposit on your room so that if you order something to your room you will not have to worry about payment straight away?" Guest says, "No thank you." Reception says, "No problem, we'll just keep your room set to cash only. Here are your keys and enjoy your stay." Guest, "Thank you." EASY AS! Get it SORTED! Fantastic location. Basic room - nothing fancy. Perfect !! I'd stay here again ! Booked a Kind bed and got a double. The room was so small there was barely room to move around the bed - nowhere to put any luggage whatsoever. There were some shelves with a built in desk - the shelves were full of stuff so could not be used for storage, the desk was so small it could not serve as a space for a laptop and a mouse. Everything was scuffed and very dated. The "free Wifi" did not work in the room, only in a couple of spots in the bar area in the lobby. I asked the staff several times and they suggested I did not know how to use my computer....then excused themselves with that it was not their job to fix it. The key card to the gym expired every day and had to be renewed. The bar staff forgot the orders. Now all of this is fine, but NOT to this price compared to other hotels. Location is not an differentiator in Wellington, as it is small and easily walkable everywhere anyway. The rooms were clean and well serviced, and the new free "express breakfast" was a bonus. Best location, the best accommodation but most of all, the Staff are absolutely wonderful. I never fail to be amazed at how happy, pleasant and helpful the staff are even when they are run off their feet. A brilliant place to stay. So close to where everything is happening. Another great stay at The Comfort. As usual, the staff were brilliant and the room fit our purpose. See you guys again in June. Yet again, I'm gobsmacked by how well the staff present no matter the time of day or how busy they are. Well done! A brilliant place to stay!